2 Cold-emailing – Is It Bad Practice? Discuss! 5 What Can You Do With Find That Email? When I was asked to include an article on finding emails for cold email contacts, I initially thought “Hell, no!” That’s spam and I hate it. Then, I got to thinking – well, so many people are doing it (as evidenced by my ever-full in-box of unsolicited emails) that perhaps I should find out more about it. So I accepted Kishen Sreehari’s request for a guest post – while warning that my readers may have strong opinions. Cold-emailing – Is It Bad Practice? Discuss! Many readers of this blog, including the owner, do not believe in cold emailing and consider it spam. But, cold communication has been a way of doing business for a very long time. If you have to wait to build a relationship with everybody before you pitch them, it’ll take you a long time to grow your business. 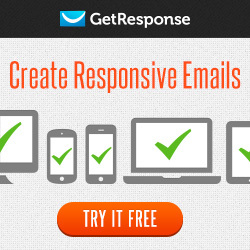 Also, with regard to marketing emails, there is no point in sending a thousand emails in one shot. It’s better to research your prospects, understand their needs and mail them a very personalized email about how your business can benefit their business with a call to action. It’s not about reaching everybody, it’s about reaching a few people and impacting their businesses for the better. This works more often than you may think. The business of finding emails is tricky. Although there are many players in the market, finding emails is still not easy. Many companies out there guess emails and guess email patterns and show that information to their users. This puts sales people and marketers in a bind; they aren’t sure of their email list’s authenticity and whether they are sending their message to the right people in a company. This is where Find That Email steps in. 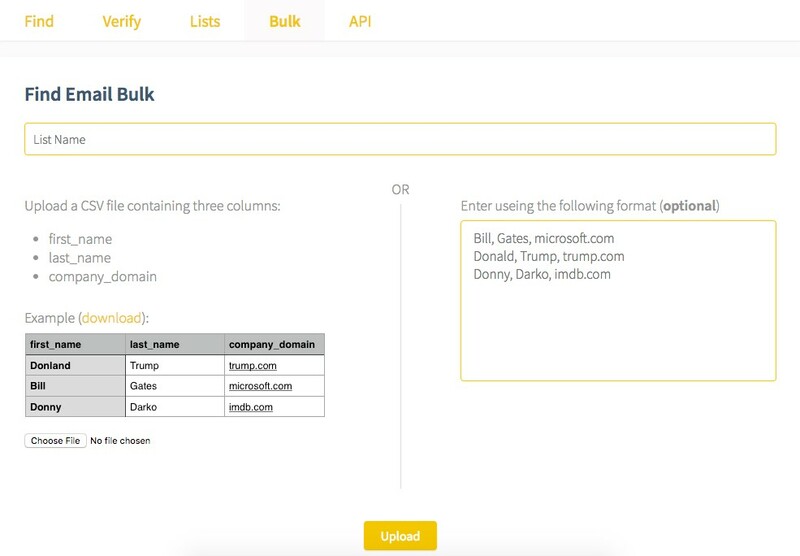 Find That Email doesn’t guess emails or use publicly available data that you can get for free. Its database is fed with new sources which come from various datasets and these are cross-checked multiple times to arrive at the right email address. This is the reason why Find That Email logged a 92% accuracy rate in finding emails according to a test conducted by Ahrefs. It performed much better than other tools out there including Hunter, which is the market leader. Find That Email is working on a verification service which marketers and list-builders can use to verify the authenticity of their email addresses before they send it out. This helps in keeping their lists clean and protecting their sender reputation which, if not monitored, can lead to your domain being blacklisted. What Can You Do With Find That Email? Find That Email is used by Salespeople, Marketers, Head-hunters, Freelancers and Founders of small startups across Industries. Companies that are listed in the stock market use Find That Email, as well as one man companies. There are various ways to use Find That Email. Let’s take a look as to how different folk find Email addresses. 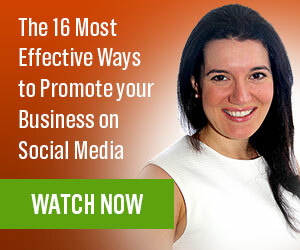 Bloggers, some of whom are still looking to make sales at the end of the day, are more accustomed to “Building our lists” or building relationships on Social Media. Some pay for solo-ads, i.e. : existing list owners mail your offer to their own lists, marginally better IF the list-owner is trustworthy, but wouldn’t it be good to have a way to check the quality? Salespeople can instead, or also, use Find That Email in various ways and find email addresses for cold outreach. The Linkedin way of finding email addresses is quick and accurate. All you have to do is search for the title of the people you are looking for. An example is “Business Development”. Make sure the “People” tab is selected. 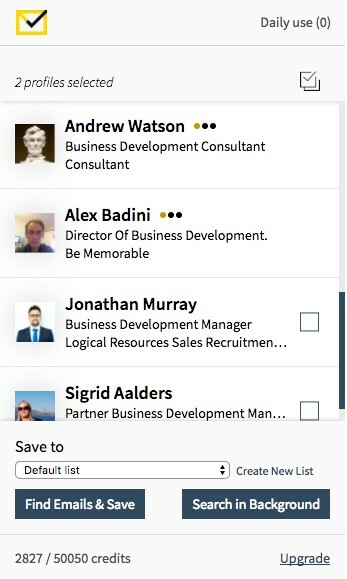 Once that’s done filter your search by Location or Industry or others and then you will be displayed a list of profiles that meet your requirements. Here is a step by step instruction on how to find email addresses from the Chrome Extension after you’ve filtered down your search results. It’s possible that Joy’s “full inbox of unsolicited emails” has come from people finding her email address from LinkedIn. The other way of finding emails to write to in bulk is by uploading a csv. But firstly, you’ll need to create a list of relevant people and find their first names and last names and their company domain. This may seem like a hard task and not a lot of you would like to do this. There’s one thing you can do. You can hire a virtual assistant to do this job for $2.50/ Hr. If your instructions are clear, you’ll have tens and thousands of relevant people and their email addresses in a week and a half. Once you have the list, you can go to the Bulk section in the Find That Email Website and upload a CSV with the following details. And you’ll have your list ready in a jiffy. Whatever method you have used to build your list, one thing marketers need to do is clean their lists every once in a while. Find That Email is working on a Verify function which will be ready to test shortly. Headhunters use Find That Email to reach out to people they hope to hire. They generally do that to avoid being just another recruiter reaching out on Linkedin. Another reason is, if you don’t have a LinkedIn premium account, you cannot message a person you aren’t connected with. It helps to email them, as email is a bit more personal. Also a lot of people don’t use Linkedin on a daily basis and a good way to reach them is through email which is likely to be more accessed by the prospect. Find That Email has something called Confidence Scores. These are numbers that signify how confident the system is with the validity of the email address that’s found. Anything below 70% is risky to send and anything between 70% to 85% is a maybe. Anything above 85% can be confidently sent. The rules for sending emails have become stricter. 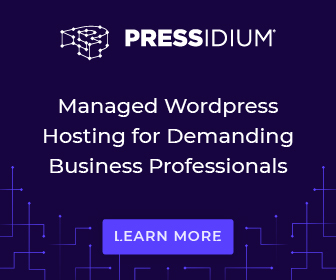 If a lot of junk cold emailing happens, the domain gets blacklisted and a person won’t be send any emails from that domain again. With the information in hand, the decision is up to you. There is a difference between a spammer and a cold emailer. A spammer gets blacklisted, a cold emailer closes business. 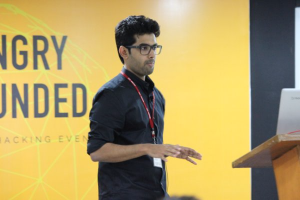 Kishen Sreehari is a serial entrepreneur. His main expertise is in SAAS and E-commerce. He heads Marketing for Find That Email and is the Co-founder of Stillersafe.com. He loves investing in the Stock Market and is also very passionate about playing the piano – which he hasn’t touched, ever. I’d love to hear what you think about this method of finding emails – either for bulk cold emailing, or for “one-off” marketing contact. Would you use Find That Email in your own business, and if so, how? I was attracted just by going through the title of this post. The moment I was on to this, I knew something interesting would definitely be going in here. Seriously I too believed that cold emails are nothing more than Spam until going through this post of yours. This is something very interesting thing to start off the fresh week with. So, it means that using the cold emails is certainly the slow process, but personalizing emails to each and every customers is something that would hit them hard, as every-one has their own priorities. Find that Email looks very promising as they using such a unique algorithm for sending the emails to the right address. The steps to use Find that Email and how a salesperson can hit a large number of people through this one is very interesting. I am looking forward to digging more into this area. You are right – it’s the personalization that makes the difference between cold / mass emailing, and harvesting emails with a specific purpose in mind. Glad you found the topic interesting and it opened your mind to the possibility that come cold emails can be of interest. I’m intrigued by the topic and was actually wondering that this act is still spamming but your clarification watered down my unbelief. Yes, I agree – it was those closing remarks that opened my eyes to the difference between spamming and cold emailing. I’m not sure what the relevant act makes of cold emailing, but perhaps Kishen will be able to reassure us. That – plus the time consuming nature of harvesting emails with a tool such as Find That Email – is one thing that has kept me from sending ANY unsolicited emails. Very interesting and just a little alarming in the same way it’s alarming when someone posts a tutorial on how to break into your home. There was a time when I would open an email from someone I didn’t know because I was actively involved with a group of first-time authors and people would see my name and send me notes and questions. Then I ended up on a list of top reviewers on Amazon and the floodgates opened to people asking me to read and review their books. As a result, I now only rarely write a review and 99.9% of the unsolicited emails I receive are deleted unopened. Loved that analogy about the tutorial on breaking into your home. Well done for being a “top reviewer” – but interesting that it had that unintended consequence. I rarely open unsolicited emails, especially if they contain a link that could be phishing. What I do is filter emails I have signed up for into their own folder, so unfiltered emails are probably cold emails. But again, there is always the off-chance that a mailing will be cold, but of interest. As you say, from groups you are a member of, or in my case local networking groups. You brought up a very interesting point here. At what point is it cold? When does it turn into spam? Very interesting indeed. I dislike getting cold calls so I am really not interested in sending either type of email. Very true – I don’t know the difference really. I suppose it’s maybe a reflection of whether the topic is remotely of interest. 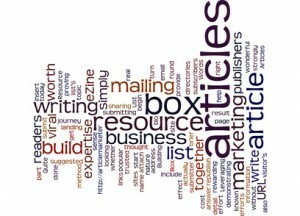 So an email asking to write a guest post on my blog could be a cold email that is welcome. But one offering to redesign a website for me is spam in my opinion, but not in the opinion of the writer. Interesting post by Kishen Sreehari. It really is a challenge finding people who are already in step with your particular offer. While it would be great if online list brokers could equal the quality of leads you can buy for offline promotions, I wasn’t able to find one when I used to do a lot of email marketing. Maybe Kishan’s company is on to something – I hope so. I’ve never had any success buying leads for mailshots either. I suppose when people sell the contact details of people who opted into their own lists, that’s really a kind of cold mailing process too. So for instance I may have opted in to learn about Traffic Generation, but if the list owner then sells my details for mailings about website design, well that’s a cold mailing and likely to get “spammed” by me. I would never sell my mailing list. Anyway, interesting to see that you’re quite positive about “Find That Email”. Thanks for your message. This is still a tricky business when it comes to leads. We don’t always find an email address. And sometimes the results aren’t accurate. This is why we have confidence scores that tell you how confident we are of the accuracy. I have not heard of “Find That Email”, this is useful information. 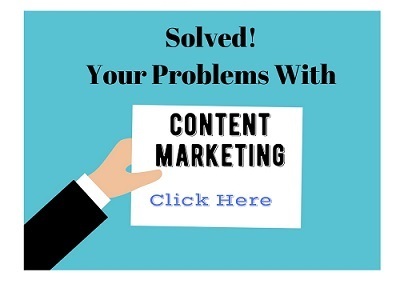 I know I can count on your website to provide valuable content. Never having sought to do cold emailing it was new to me too. I’m glad you find valuable articles on my site. MailChimp, my service, has a way to segment which sounds like what this tool does you’re recommending. I tried it, had poor response, and stopped. I know others do it successfully. Maybe if I have more time in the future, I’ll pursue it. Thanks for sharing. I will be interested to know more if you try it again. I have never tried so can’t say how successful or not it might be. I am actually just kidding, I doubt I would ever cold e-mail anyone. I know I don’t like my inbox filled with them. While I agree with you that harvesting emails from LinkedIn (or anywhere else) is something I haven’t done, it is now one solution to the riddle of why I receive so many cold emails! I found the LinkedIn information interesting. I will try it and see what I can come up with. I didn’t understand ” How to find email addresses from Chrome extension after you have filtered down your search results gets populated.” ?? Sorry for the delay in replying – it’s just been “one of those weeks”. I’ll ask Kishen to stop by and see if he can explain further to answer your question. Kishen has answered your question now. The captcha plugin stopped him replying to the specific comment, but if you can’t find it, let me know and I’ll send it on separately. You spoke about the need to regularly check the updated email list, which is an important aspect. Yes, I initially missed paying attention to the same, but thanks for helping me know its importance, I will surely follow. Many people neglect checking that their email list is still valid, Rajkumar. But it is a useful exercise to clean your list regularly. Hearing the term Cold email for the first time and It’s really a good post to read and share. I’m glad I have been able to tell you more about cold emailing! Although it’s not something I do personally, there are pros and cons. Thanks! A good week to you as well! Thank you for reading the article. By filtering down the search results, I mean using the filters on the right in the search results page. 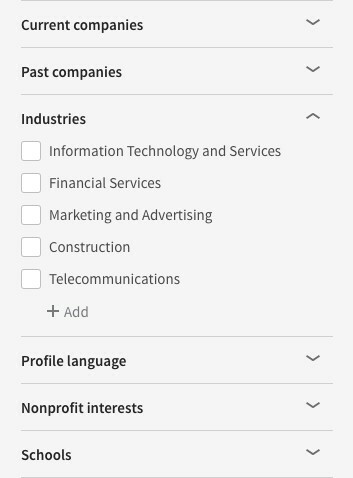 You can filter by Keywords, Locations, Connections of, Industries etc. When you filter your results, you get people who are more specific and focused. Did that make sense? Please let me know! Nice to see you here in Joy’s bog. Also, thanks to Joy for giving a chance to read a wonderful post. What an outstanding idea to find email addresses from Linkedin. Also, I heard about bulk email finding but today I learned ow it works. Thanks a lot kishen for your excellently executed post. I have got to learn many new things from your post. Have a great weekend. 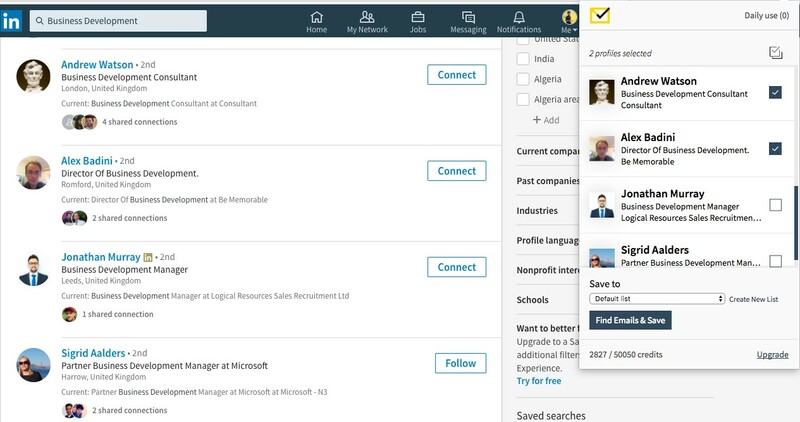 I had never thought about obtaining email addresses from LinkedIn – when used as Kishen describes that’s good, but bulk emailing is NEVER a good idea.